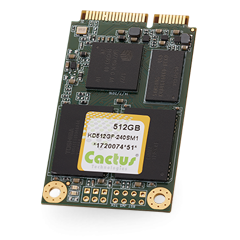 NUREMBURG, GERMANY, February 28, 2018	(Newswire.com) - Cactus Technologies today released two higher capacity MLC & pSLC mSATA. 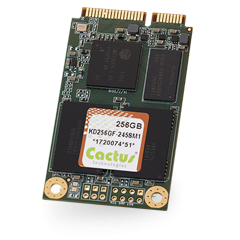 The 240S Series Commercial Grade mSATA, based on MLC NAND now comes in a 512GB maximum capacity and the 245S Series OEM Grade mSATA, based on 256GB pSLC, now has a maximum capacity of 256GB. 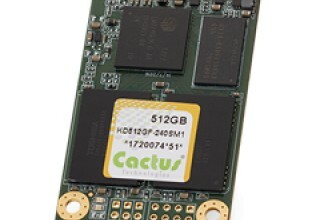 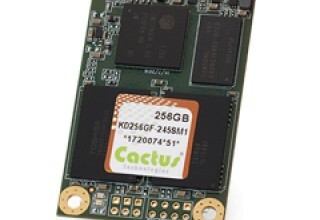 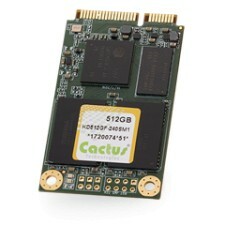 These new higher capacity mSATA cards have Locked BOM Control, High Performance, Rugged Construction and advanced Wear Leveling, ECC and Defect Management as OEMs have come to expect from Cactus Technologies.